The 3 Toadstools : Finished editing Map M! Just need to add all the numbers now. I need to really do this with a mouse and not a track pad. Damn hand hurts now. This will probably be the last one that I put up for the time being. 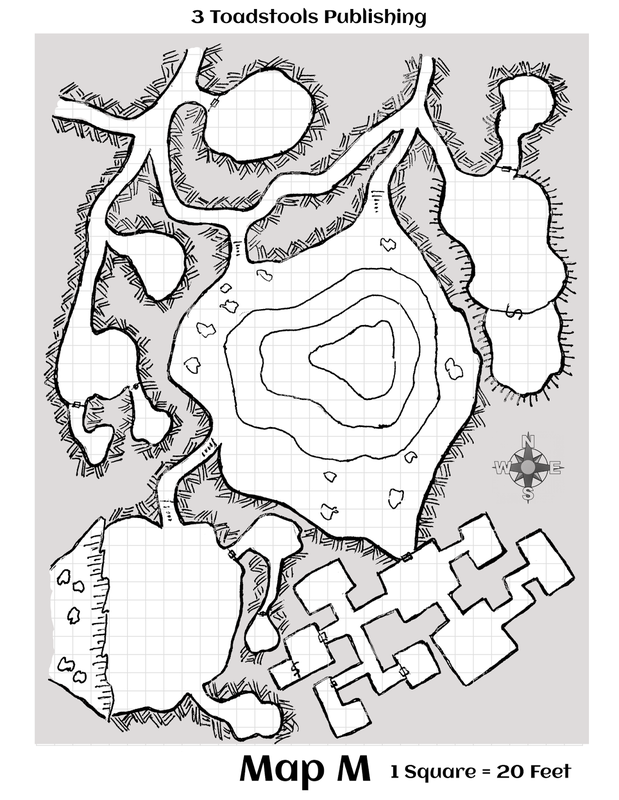 I haven't quite mapped out exactly what's up in this cavern, but this is the map I posted early. Here is the last one. I just finished it up last night. Big assed cavern with a very large lake, as well there's a cliff point with a higher cavern above. The ruins are obviously not perfectly symmetrical and were not drawn on a grid. The guys who built it didn't have access to decent geometry or T squares at the time. 118 pages of new monsters!